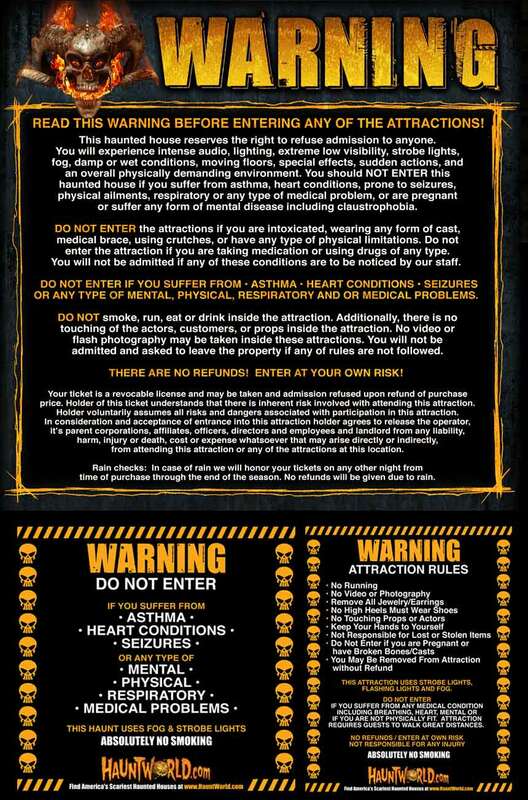 Warning Entering Bennett's Curse Haunted House entails known and unanticipated risks that could result in physical and emotional injury. Risks may include among other things, slipping, falling, collision with fixed objects or other participants, bruises, twists, sprains, breaks, seizures and/or death. Understand that such risks simply cannot be eliminated without jeopardizing the essential qualities of this activity. By purchasing a ticket to Bennett's Curse Haunted House it is expressly understood that you have been made aware of the risks and you agree to assume all the risks existing in this activity. Your participation is purely voluntary and you elect to participate in spite of the risks. 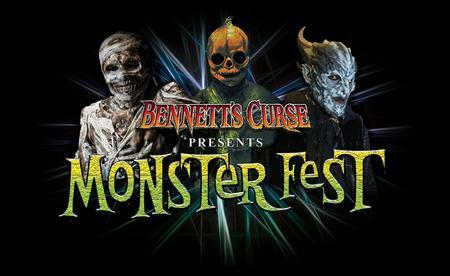 By purchasing a ticket you acknowledge that if anyone is hurt or property is damaged you may be found by a court of law to have waived your right to maintain a lawsuit against Bennett's Curse Haunted House, Bennett Entertainment, LLC it's officers, agents, and employees. As a guest of Bennett's Curse, you are required to comply with our safety rules and are cautioned to heed all warnings. By accepting admission with this pass, you agree to release Bennett's Curse & Bennett Entertainmet from all responsibility for any loss, injury or damages. We reserve the right to eject without a refund or refuse admission to any person whose conduct is objectionable.